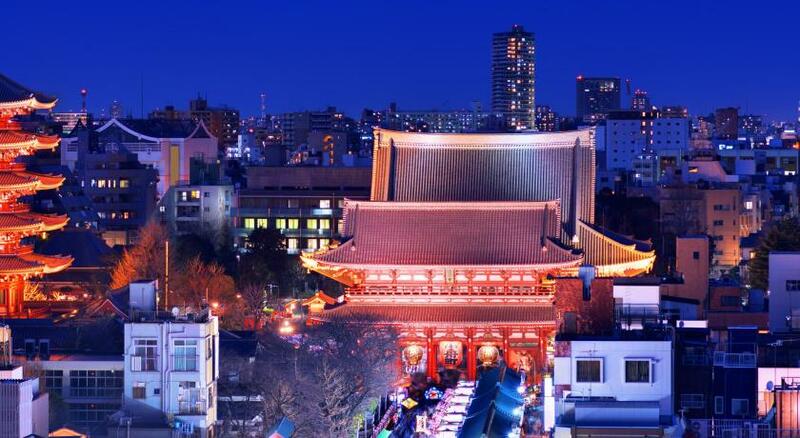 Lock in a great price for Richmond Hotel Asakusa – rated 9 by recent guests! Close to metro, very clean & comfortable & quiet. Room sizes good for Tokyo and modern decor. This hotel has an excellent location and it offers all the services you may need to have an extraordinary experience. Some rooms have an amazing view of the Asakusa temple and the Tokyo Skytree. The location was excellent. Many choices and good food for breakfast. Staff were extra friendly. Great location and value. Many shops and eating places surround the hotel. 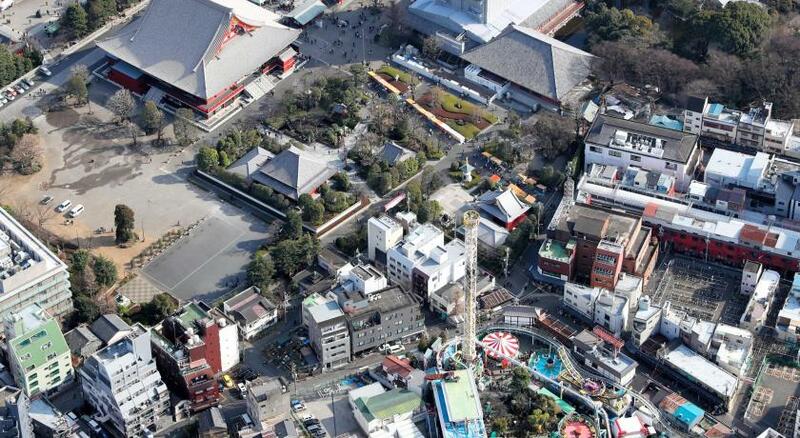 Very close to major attractions like Sensoji temple , skytree tower and subway. Wonderful staff! Nice breakfast buffet for 1200 yen. Bus from and to narita airport close by at asakusa view hotel, within walking distance. Brought my family of 14 so convenient to let them loose to explore themselves. So much to see and do! Don Quiote store 24 hours across hotel. ROX shopping center 5 minute walk away with popular DAISO (100 yen store) and Uniqlo (clothing store). Washing clothes facility available, too. We stayed one night and were able to store our suitcases and return to the same hotel 3 nights later and the suitcases were already in our rooms upon return. We are three adults in one room. Compared to other hotel rooms in Japan, our room is spacious with comfortable beds. Very clean and toiletries are completely replaced everyday. Towels and linens are so white, soft, and fluffy. We are at the 6th floor (604) where the vending machine is located with ice machine and microwave. Hotel staff were all friendly and very accommodating. Location is excellent. 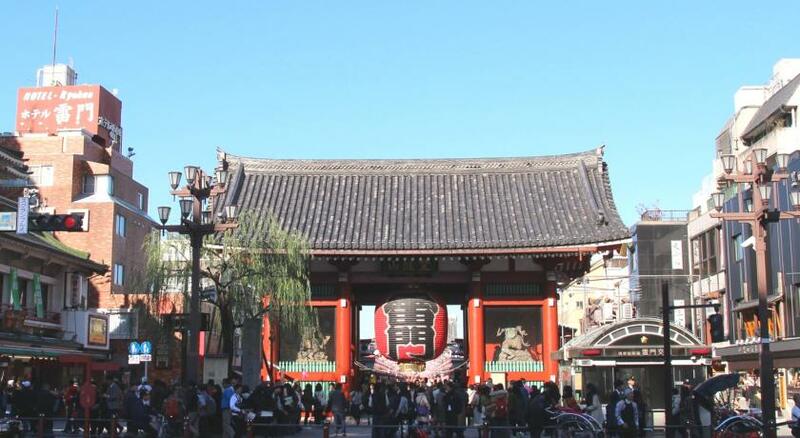 5-10 minutes walking distance to railway stations, to Sensoji temple, to restaurants, and to Don Quijote shopping center (biggest discount store in Japan) & Nakamise shopping street where we keep going back to buy our souvenir items. Tip: Take a limousine bus to/from Haneda international airport > Asakusa view hotel which is a 10 minutes walk to Richmond Hotel. Not advisable to take the railways if you have heavy luggages. No lifts and long stairways. I booked this hotel for 4 nights just for its convenient location, it’s close to everything I need, stations, restaurants, shopping and tourist attractions in Asakusa. Staff were helpful and polite some did not speak well English but it’s managable. Awesome location and yet surprisingly silent. Staff was super friendly. Room was bigger than i expected. Bed was among the most comfortable during my trip. Everything was clean and nice. 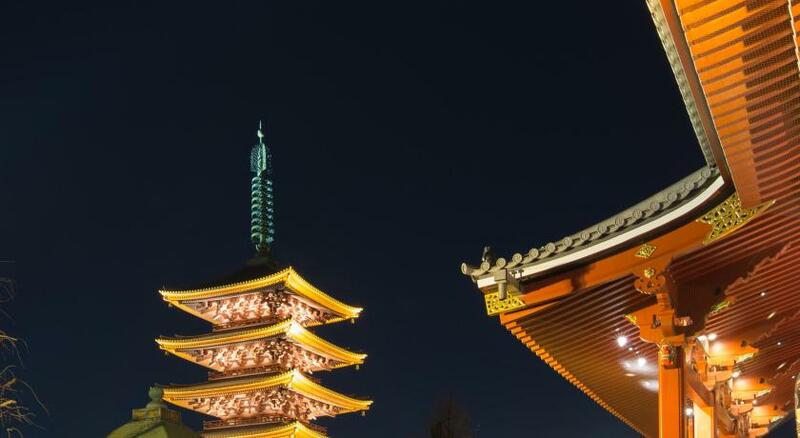 Would book it again if i ever visit asakusa a second time. Richmond Hotel Asakusa This rating is a reflection of how the property compares to the industry standard when it comes to price, facilities and services available. It's based on a self-evaluation by the property. Use this rating to help choose your stay! 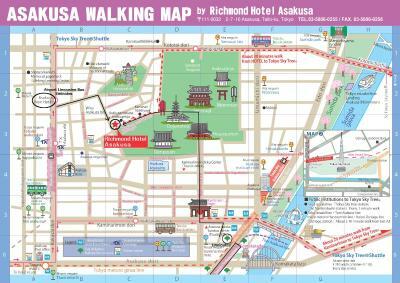 Opened in March 2012, Richmond Hotel Asakusa is a 3-minute walk to Sensoji Temple and features free Wi-Fi. Rooms come with a 40-inch LCD TV, and the Italian restaurant serves a breakfast buffet. Rooms have a modern, neutral décor that guests can relax in. Slippers and free POLA amenities are provided for the private bathroom, and video-on-demand channels can be enjoyed for a fee. 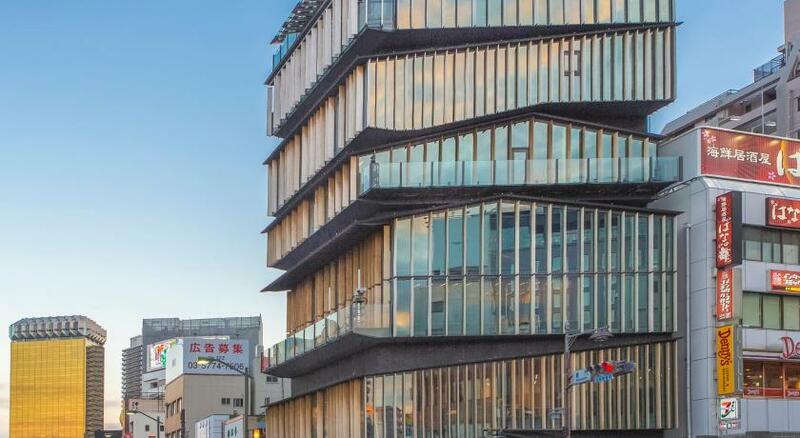 Located in Tokyo’s historic Asakusa area just a 3-minute walk from Tsukuba Express Line’s Asakusa Station, the hotel is about a 10-minute walk from Asakusa Subway Station. Tokyo Sky Tree, the world’s tallest broadcasting tower, is about a 30-minute walk away. A coin launderette is located on site, and free-use PCs with a printer can be found at the lobby. The front desk is open 24/7 and can arrange dry cleaning and fax/photocopying services. A free-use microwave is available on the 6th floor. Itanova Café & Dining offers Japanese/Western buffets for breakfast (06:30-10:00) and lunch (Weekdays: 11:00-16:00 / Holidays: 11:00-17:00). When would you like to stay at Richmond Hotel Asakusa? Modern air-conditioned room with free coffee and green tea. Slippers and free POLA amenities are provided for the private bathroom, and on-demand movies channels can be enjoyed for a fee. House Rules Richmond Hotel Asakusa takes special requests – add in the next step! Richmond Hotel Asakusa accepts these cards and reserves the right to temporarily hold an amount prior to arrival. Guests coming from Narita Airport should take the Keisei Narita Sky Access and guests coming from Haneda Airport should take the Keikyu Airport Line. Both lines function as direct lines to Asakusa Subway Station. From the Tsukuba Express Line Asakusa Train Station, Exit A1 is nearest to the hotel. Please contact the hotel in advance if you wish to bring children at time of booking. Please be informed that 1 child 12 years and under per adult can be accommodated in an existing bed free of charge. Breakfast tickets can be purchased for children sleeping in existing beds at the time of check-in. When booking for 20 guests or more, different policies and additional supplements may apply. Please contact the property directly for more details. We were give a 2nd floor room at first, with a view of heating shafts! As I had booked months in advance, that was a poor show although I suppose I should have specifically requested a room with a view. However, they moved us up to floor 9 on the second night. The washer dryers never dried my washing completely despite extra drying sessions and sounded full of water permanently. Had to finish off drying in the room. Fair sized room for Tokyo, the laundry room was invaluable as we had run out of clean clothes. Good choice at the breakfast buffet, superb location. Very polite and helpful staff. Huge selection of Japanese and European dishes. 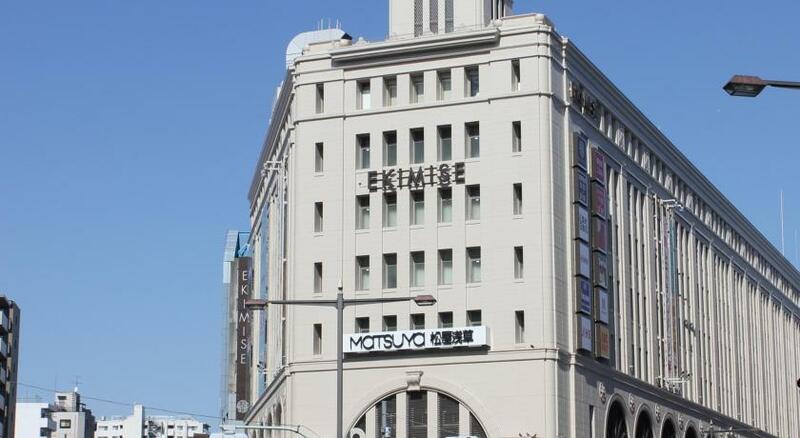 Excellent location close to temples, Ueno park and National Art Gallery and local shops and old Tokyo. Good transport connections via Ginza line. Right next to Sensoji Temple. 24 hr Don Quixote shop round the corner. Would have preferred shower to not be over a bath - quite dangerous getting into/ out of a very deep bath to have a shower - and no rubber mat. Was clean, helpful staff and hotel relatively easy to find. Excellent location in one of the best areas in Tokyo. Good value for money. Comfortable size of room. Very good breakfast and helpful staff. Many restaurants in walking distance. Only problem I had was with the pillows. Either way too soft or way too hard. However, this was a problem all over Japan. Lovely hotel in a part of Tokyo called, Asakusa. 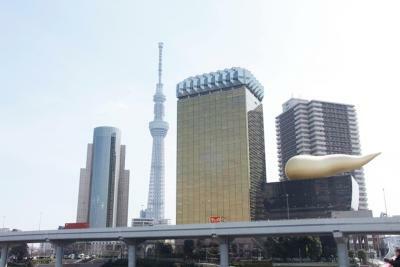 Chose this hotel when we first arrived due to it being close to the Imperial Palace and Skytree. Was a perfect base for viewing these areas. At night the area has a lovely feel with lots of local food venues and little bars. A quieter side of Tokyo and probably a great introduction before staying in Tokyo proper. Hotel was very clean and well maintained. Staff were always very helpful. Breakfast was included in our rate and was wonderful. The hotel location is a short distance from the train station and there are many restaurant nearby. The staff are also very friendly and are able to communicate in English. The breakfast buffet at 1200yen is extremely delicious and worth the money.